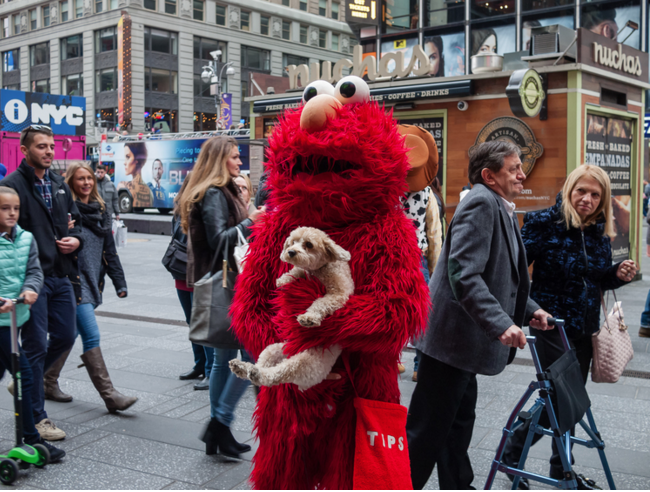 "Elmo", Arthur Nager's photo from the Time Square Series, was selected for display in the 37th Annual juried Photo Exhibition at the Carriage Barn, Waveny Park, New Canaan, CT. The juror Laurie Kratochvil, was the Photo Editor for Rolling Stone and is known for her work as a curator, photographer and editor. The exhibit runs from December 4, 2016 - January 19, 2017. The gallery hours are Wed.-Saturday, 10AM-3PM, Sunday, 1-5PM. Arthur Nager will be participating in an open house for visitors interesting in meeting the participating photographers on Saturday, December 10 from 10-12AM.